The final day of the National League 2 South season couldn’t have been scripted better for our two Cornish clubs. The Cornish All Blacks’ 16-6 win over Shelford gave them the points they needed to stay up and for inspirational flanker Tom Rawlings to take his leave from Polson on a high. Tries from Barrie Chapman and Jamie Salter together with a couple of Kieron Lewitt penalties were enough for Launceston to squeeze home in a tight game. Up in Cambridge a brave Redruth side could muster just 17 men standing as sickness took it’s toll on three of their players. The Reds dug deep into their self-belief to score four unconverted tries through Neil Turner (2), Greg Goodfellow and Jake Rayment to win for only the second time on the road this season 20-19. It was a great way for departing head-coach Ashley Morcom to sign off as well as Craig Bonds. So in the final shake-up in National League 2 Hartpury College are champions and are promoted to National League 1 along with Macclesfield from 2 North. Darlington MP will entertain Ampthill &District in the promotion play-off for the third place. Henley Hawks and Worthing Raiders slip back down to National League 2 South next season. Should Ampthill lose their play-off they are likely to be levelled transferred to 2 North next season. Joining Exmouth and Bournemouth in National 3 next season are London Irish Wild Geese. They will be replaced by Lydney, Dorking and Old Elthamians who defeated Redingensians 17-10 on the play-off. Redruth finish a creditable 9th with the Cornish All Blacks 12th. On Friday night the Cornish Pirates rounded off their season in the Greene-King Championship with a 36-3 defeat at play-off qualifiers Leeds Carnegie. The Pirates again fielded a young side captained by Tom Kessell. Kyle Moyle kicked an early penalty for their sole points. The Pirates finished in sixth position and with stories that next season they will have an even smaller squad of players to replicate that would be considered a success as they continue to tread water whilst the saga of the stadium rumbles on! Bristol, London Welsh, Leeds and Rotherham Titans will contest the play-offs, whilst Ealing Trailfinders are relegated after just one season and are replaced by Doncaster Knights who bounce back after just one season in National League 1. It was good to see Aaron Penberthy get the man-of-the-match award from The Rugby Paper as Jersey defeated Bedford Blues 41-31 at Goldington Road with Aaron kicking 21 points. The drama in Tribute South West 1 West was concluded last week, however hats-off to Chard who pipped both Camborne and St. Austell to the runners-up spot, now they have won their play-off against Towcestrians 22-18 to go into National 3 SW next season. Sidmouth, Coney Hill and Wadebridge Camels all drop down with Drybrook, Ivybridge and Matson, who defeated Teignmouth 35-10 in South Devon in the play-off, all promoted from Western Counties West & North. Penryn rounded off their league program with a loss at Okehampton 19-17. Tries for the Borough were scored by Phil Hinchley and Ethan Patterson with Rob Banks a penalty and both conversions. Penryn finish a respectable sixth just behind Truro in fifth, St. Ives escaped the drop in the twelfth with Bude and Paignton both relegated. In Tribute Cornwall & Devon League, Falmouth finished their season with a win at the Rec against OPM’s 18-14. Tom Spiller, AJ Geech and Simon Bailey scored the Eagles’ tries with Justyn Irons kicking a penalty. Falmouth were the best placed Cornish side finishing in sixth place a long way behind promoted clubs Exeter University and Tiverton. Saltash and Hayle finished seventh and eight respectively, Pirates Amateurs tenth with both Veor and Newquay Hornets propping up the table and relegated to Cornwall 1 next season. Liskeard-Looe and play-off winners Bodmin will play in the Cornwall & Devon League next season along with South Molton winners of Devon 1. Dropping down from Cornwall 1 to Cornwall 2 are Roseland and St. Agnes, whilst promoted from Cornwall 2 to Cornwall 1 are Illogan Park and St. Just. In London 2 SW, London Cornish ended their season with a 23-13 win over Weybridge Vandals to finish third in their league, their highest ever finish in the league structure. DoR Dickon Moon and his staff must be congratulated on their achievements and no doubt will be hoping to get promotion next term! It’s all over too for Tom Parker and his Vannes side in the play-offs in the last sixteen of the Jean-Prat trophy against Montauban. The former French Champions had already won 16-13 last weekend at the stade de la Rabine in Vannes, yes the ground where Jack Nowell and Luke Cowan-Dickee helped England become World U.20 Champions last June, in the return at their stade Sapiac the greens were comfortable winners 32-0 though both sides played with just fourteen men after 3 minutes when Parker for Vannes and Montauban prop Elvis Tekassala were both red carded by the referee for fighting!! Mention to for former Redruth player Ed Carne who has been playing International rugby for Singapore in recent weeks! Former Exeter Chief and Helston boy Neil Clark is battling relegation from the Top 14 with his Oyonnax side,in their last game they held mighty Toulouse 19 all at stade Charles Mathon. Time to get the black and gold out. This Wednesday evening Cornwall defend the Tamar Cup against Devon at Polson Bridge kick-off 7-30 pm. Then on Saturday 10th May the road to Twickenham begins with Cornwall facing North Midlands at Redruth kick-off 3 pm and then the following Saturday Gloucestershire at Camborne again with a 3 pm kick-off. 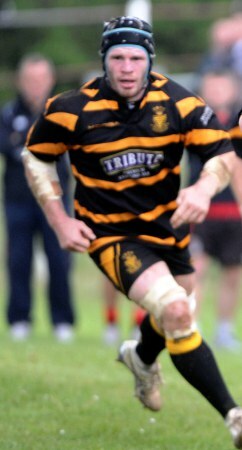 On May 24th Cornwall travel to Hertford RFC to take on Hertfordshire with another 3 pm kick-off. UP CORNWALL. SUPPORT THE BOYS IN BLACKAND GOLD!! KERNOW BYS VYKEN! !